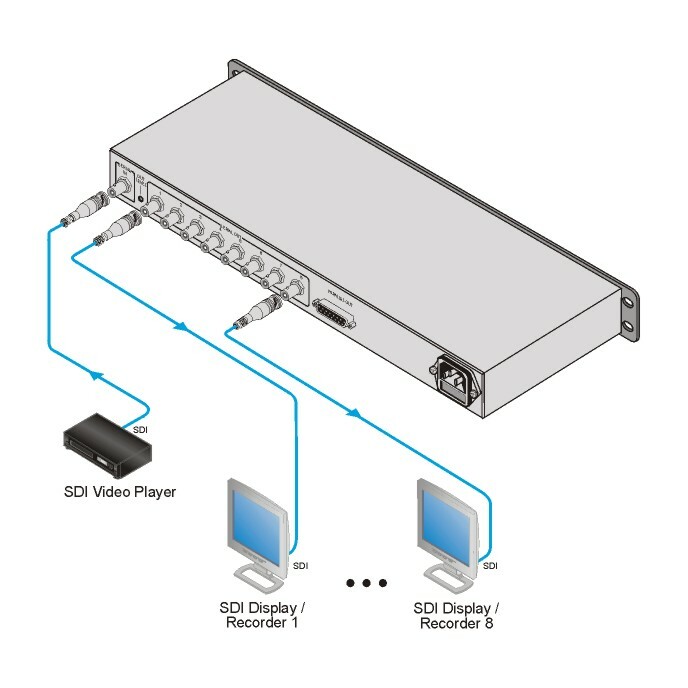 The SD-7108 is a high-performance distribution amplifier for multi-standard SDI (SMPTE 259M) video signals. It takes one input, provides re-clocking and equalization and distributes the signal to eight identical outputs and one parallel ECL output. Resolution - 8 & 10-bits (automatic). Output - Parallel ECL output on a 25-pin D-sub connector. Kramer Equalization & re-Klocking Technology - Rebuilds the digital signal to travel longer distances.